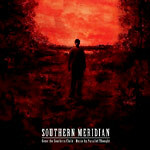 Southern Meridian is Gene's latest collaboration with production team Parallel Thought and his proper solo debut. Recorded on a week-long trip to The Paradigm, Parallel Thought's New Jersey Studio, the album is an amalgam of rich storytelling, provocative social commentary, booming beats, and impeccable production. Its refined sound breaks the heretofore conventions of Southern rap, and Gene draws the listener in with his stories of the deep South. The album, inspired by Cormac Mccarthy's crimson-soaked novel Blood Meridian, comes on the heels of A Ride with the Southern Child and Artillery Splurgin', Gene's much-praised last two albums, also produced entirely by Parallel Thought. Album being released in conjunction with Adult Swim. Additional collaborators include Emmy Award-Winning Filmmaker Rob and the production team House of Nod for music videos and Kevin Vitella for album artwork. Vitella's depiction of the lonesome poet standing in front of his barren landscape is the perfect nod to the album's message and tone. This one snaps! Peep ''Smackman'', a track that has an addictive bouncy beat, catchy chorus and ill scratches. Adult Swim always finds the ill underground! If you have been waiting for something to roll to, this is it!